How do you plan a wedding quickly? …That’s not all! Click here for more. What are some ways to make your pregnant significant other happy? Related Tags: Celebrity Couples, Celebrity Vacation, Hawaii, Robert Downey Jr.
Heather Locklear celebrated her 50th birthday with rest and relaxation, reports People. 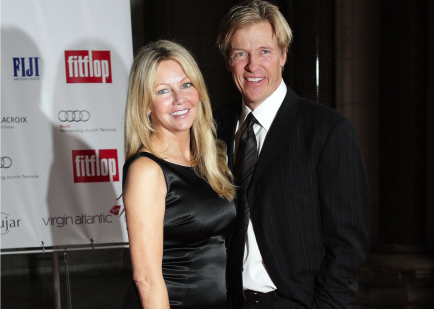 The former Melrose Place star spent her special day vacationing in Hawaii with fiancé Jack Wagner, 51. Locklear and Wagner announced their engagement in August, but have yet to set a date for the wedding. What are some ways to enjoy a relaxing birthday weekend? R&B singer Keyshia Cole fulfilled her dream of a destination wedding on Sunday when she and Clevland Cavaliers player, Daniel Gibson renewed their vows in Hawaii. UsMagazine.com reports that Gibson wanted to make his wife’s wishes come true so he flew all of her family members out to the tropical island for her ideal ceremony. The bride was so excited as she tweeted throughout the day, “This is so beautiful! I’m so glad we’re taping this so you all can see!” The couple is recording for their new reality TV show Family First, which premiers in February of 2012. What are some reasons to renew your wedding vows? Dying to know more? Click here! Molly Sims and producer Scott Stuber officially said “I do” last Saturday in Napa Valley, California, according to People. The model-turned-actress and Stuber dated for a year and a half before getting engaged last May. They exchanged vows in front of family and friends, which included Josh Duhamel and Fergie. Where are some romantic locations to get married? Christina Aguilera has recently been dealing with divorce papers and drama, all caused by her split from hubby Jordan Bratman. The singer decided to escape the chaos by taking a quick vacation to Hawaii. The Burlesque star “…has a packed weekend ahead of her, including yoga, surfing lessons, hikes, lunches, VIP dinners and cocktail parties,” reports E! Online. Sounds like it’s just what she needs! After a breakup, where are some good places to get away? What are some good vacation destinations for the whole family?